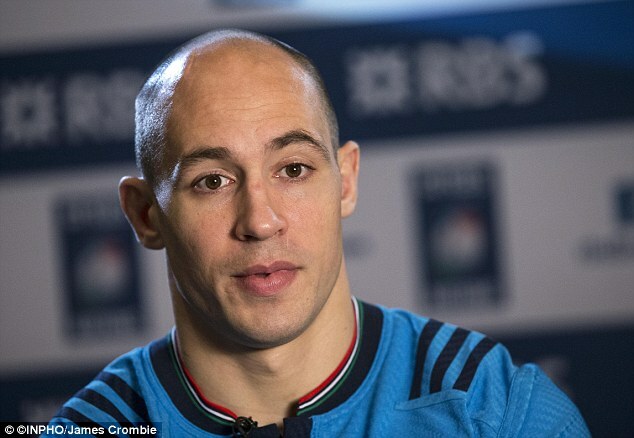 Relegation talks might be on but Sergio Parisse is slamming them out. Being captain of the Italian rugby team, he is confident that things will change with a new coach team in place who would begin working with the team this summer. Conor O’Shea from Harlequins is being favored for the position as head coach for Italy. Conor is presently on his way out from the director of rugby position in Harlequins. If the succession happens, he would be replacing Jacques Brunel as head coach. Brunel has been having it tough as the defeat against Wales for Italy at a score of 67-14 has been difficult to digest for the management and the followers. Brunel would now be heading to French Top 14 club, Bordeaux-Begles. Here he would be taking up the role of a forward coach. The Six Nations campaign might have been demoralizing for the country’s team but Parisse wishes to look ahead and focus on the positives. The last season saw them at the last position. This has happened for the eleventh time where they have tried 29 times and in 17 seasons. The total points accrued by the team are 224. Parisse feels that there are no excuses to provide and the team simply needs to work to make use of the opportunities provided. The staff for the team and the management is changing from June and hence, he is optimistic that it will help the team to improve their skills and strategies. The team has been plagued with less scores and multiple injuries among players. But Parisse, as a true captain, is trying to hold up the spirits of the players. He is hoping that Italy will be able to hold onto their position in the Six Nations campaign and he is rallying for the same. This entry was posted on Monday, July 11th, 2016 at 12:44 pm	and is filed under Rugby Gods. You can follow any comments to this entry through the RSS 2.0 feed. Both comments and pings are currently closed.